I just finished a knitting project. As is always the case, I am eager to get started on something else. Rather than run to the knitting store to buy wool and a pattern, I decided to try to learn something new. Years ago I wanted to learn to do counted cross stitch. Never one to do things by half measure, I bought several beautiful kits. I am also one who tends to get a bit ahead of herself. When I looked at the complexity of the patterns, I got a bit discouraged and thought I would wait on the cross stitching for a little while. 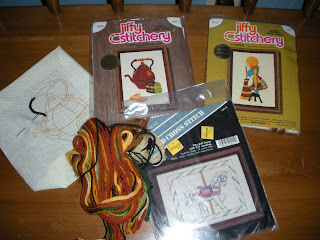 Since my Mom is living nearby now, it seemed like a good time to dig them out and have her teach me how to get started. I found the box where I had packed away all my crafty things and was overwhelmed by what I found. To my utter shame, there were all sorts of half finished projects forlornly staring up at me. I had absolutely forgotten I even had some of them. 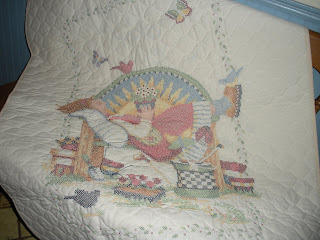 There was the little embroidered quilt. I got tired of it when I got to all the out-lining and set it aside for "a while." 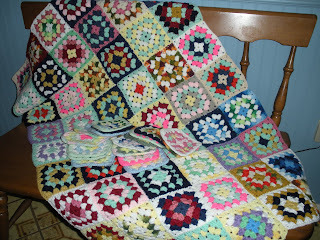 This is the little granny square afghan I started crocheting more years ago than I care to remember. There are quite a few squares waiting to be sewn together. I don't even remember which baby this little embroidered picture was intended for. It only needs the name and date (the part I always find difficult). 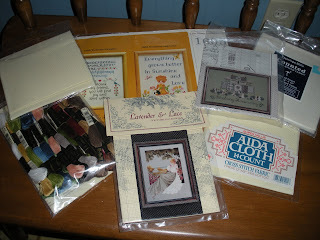 Here are all the counted cross stitch kits. I thought I would like to learn to do needle point and bought this beautiful pillow - not even started. These are two crewel projects that I bought when my grown sons were little. I think they were just more than I cared to tackle after having done lots and lots of smaller crewel pictures. 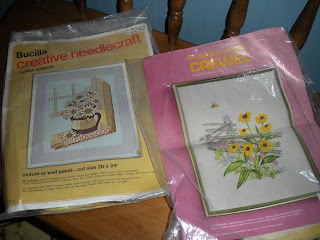 These are two of the smaller crewel pictures (and yet another cross stitch one) I have yet to do. There you have it - confessions of a world class procrastinator. As I think and pray about what to do with getting my blogging in some sort of proper perspective, I must consider all of this. 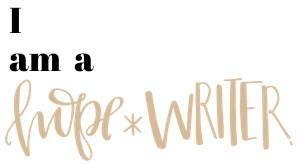 They are, after all, things I have always loved doing (along with my writing). Time to get busy. I think, perhaps, when small ones were small, you were busy about the living of life and not the sitting and knitting! It looks like you have plenty to keep you busier than ever now. :) Your half finished projects are lovely, linda. 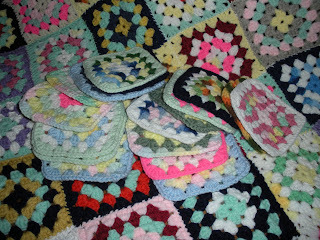 the granny squares would make good coasters. maybe meet with a friend or two, to do crafts together. just a couple of cunning ideas to pass along. When I was young with children, somehow I managed to do all those sorts of things. I did a Show and Tell Friday for several weeks showing the things I Used To Do - I al ways had a needle in my hand, and it was my therapy. Now I can't even thread a needle! So sad. 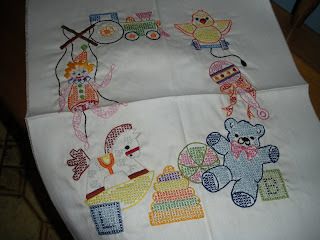 I loved counted cross stitch - the outlining is what really finishes it! I hope you enjoy it. I'll be anxious to see. I used to love doing cross stitch! But then I had kids and no more time. I had a lovely project going that is still sitting in the bottom of my closet. perspective as long as you give Him first place,as I'm sure you do. Just enjoy your rich life! I don't feel so bad. So many unfinished projects....and that includes writing projects. Actually, counted cross stitch is the only needlework I did with any consistency, but I sure did love doing it. It's a bit of an eyestrain these days, but it was a real blessing in my life during that time. I like it that you can write out your own messages for people and give them so that they have a permanent expression from you in a unique way. Awww man!! I am a procrastinator too! I need help!!! I love that afgan! It is beautiful! And then teach me how to knit... or crochet... I've always wanted to learn to do both! This is great Linda (not really :D but I'm smiling here because I was going through a mental list of my unfinished projects. 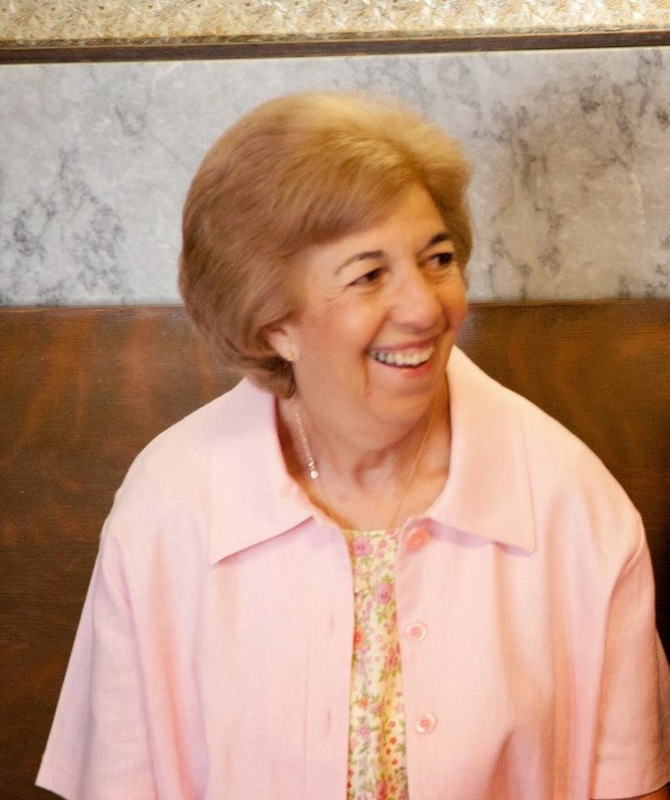 While I was pregnant for each of my children, I worked on a special project. Upon his birth, Jason, my youngest was to receive a twin size quilt. Do you know when he got it, Linda? Happy Valentines' Day to you and yours. And this post made me smile, and cringe. I actually did a lot of crafting when the kids were small, hours spent "watching" them. Two years ago I made myself go through all the bags of unfinished projects and donate mostly everything. I try to stay with just a few things, and everytime I'm tempted by knitting or something I see on the internet, I just remember those bags. It was a horrible guilty burden that I had to get rid of. I know I can do them, I love to do them, but that doesn't mean I have to . Good luck with this. I 'm amazed at how talented you are!! Maybe you should finish one at a time and post them so we are with on the journey? So many fun things started... I'm always amazed at how life can squeeze it's way in and those little projects get delayed. I hope you can find time to finish them or find new purposes for what's already done! Thanks for always being an encouragement to me Linda. Hi Linda! I just love doing needle work. My favorite is cross stitching and your blanket in the first photo is really wonderful! I hope you finish the outlining... it's true, it really does just make the whole picture pop. 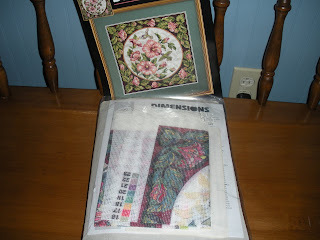 I have done so many cross stitch pictures that I was even starting to give them away as gifts and so I thought it would be better to start a new hobby. So I've learned to knit and I'm really enjoying it! Actually just posted this morning about a project I just finished. 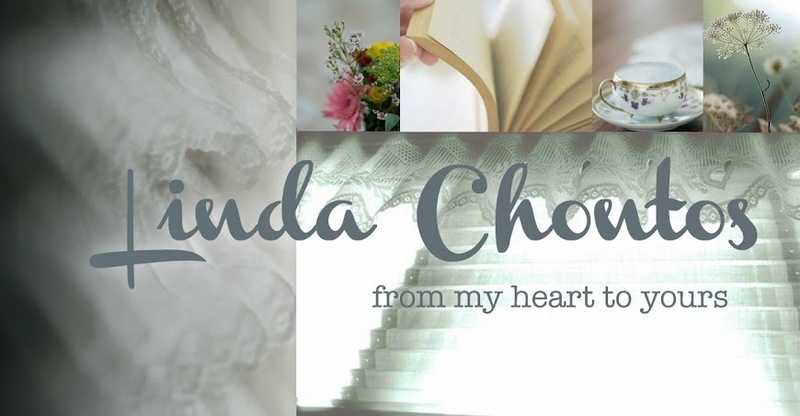 Thanks for your comments over at my blog, Linda... I really appreciate you keeping in touch! Well, I hope you have a pleasant weekend!